This Elizabeth Arden set is a great holiday deal. Not only the special Black Friday pricing but even the regular pricing. Exclusive to Macy's you get 4 Beautiful Color Luminous Glosses in a saucy leopard print case. Gloss shades are : Coral Kiss, Precious Petal, Passion Fruit and Royal Plum. The price through Saturday 11/30 is $ 15. After that it's $ 21.50. 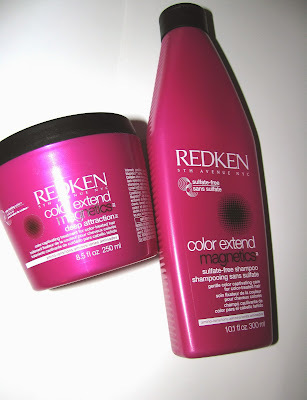 I've always felt Redken's Color Extend line was a good one. I've used it and I don't even have colored hair. It just works really well as I've found so many Redken products do. New and even better for your color treated hair is Color Extend Magnetics. This time they've eliminated any sulfates . 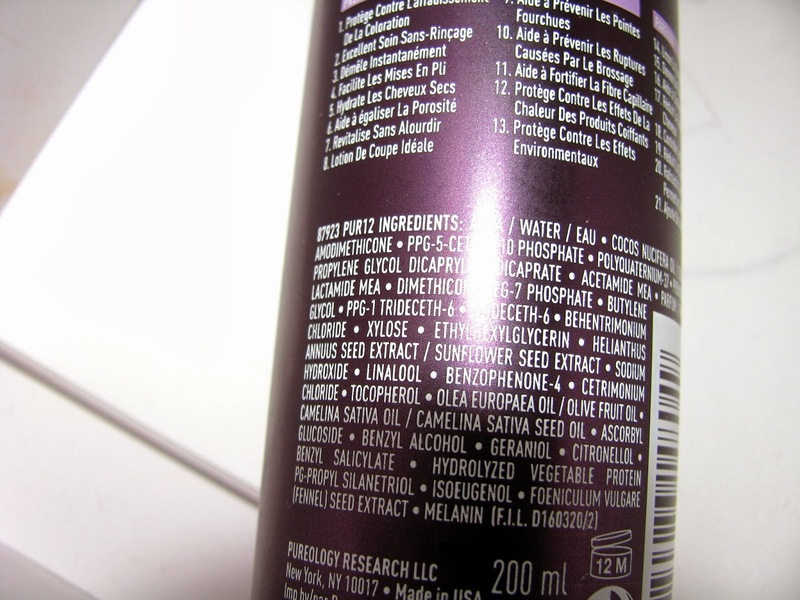 In the shampoo/conditioner/mask are amino acids and glutamic acid that help hair retain it's vibrant color and shine. 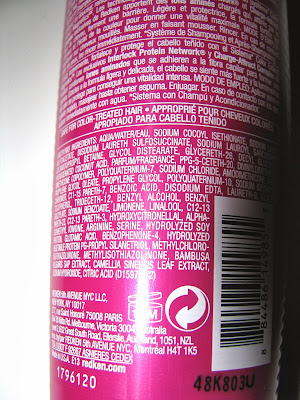 If you spend time and money on coloring your hair, it's worth it to make sure your shampoo isn't stripping it. The holiday collection is the final installment in the MAC x Rihanna collab ( but look for her as the next Viva Glam gal). Two standouts are the new Veluxe Pearlfusion shadow palette in Phresh Out and the Love, Rihanna Bronzing Powder. Both come in the new , fresh looking white and rose gold packaging . 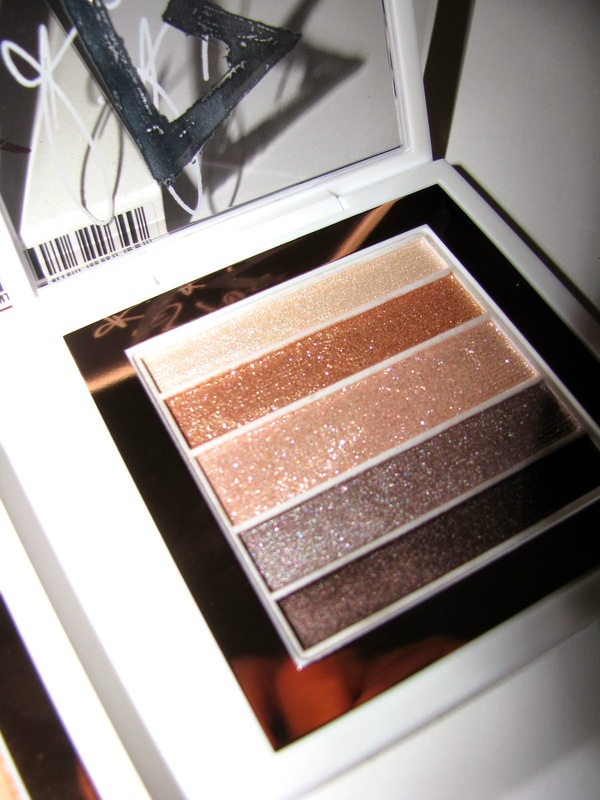 Phresh Out has five pretty , shimmery shadows. Great for holiday looks as well as all winter. Metallics are in for now as well as Spring. Of course for me they're always in. Love , Rihanna is a deep bronzer. The large R is not an overspray but a vivid , deep copper bronze. The outer shade is more muted but not light. 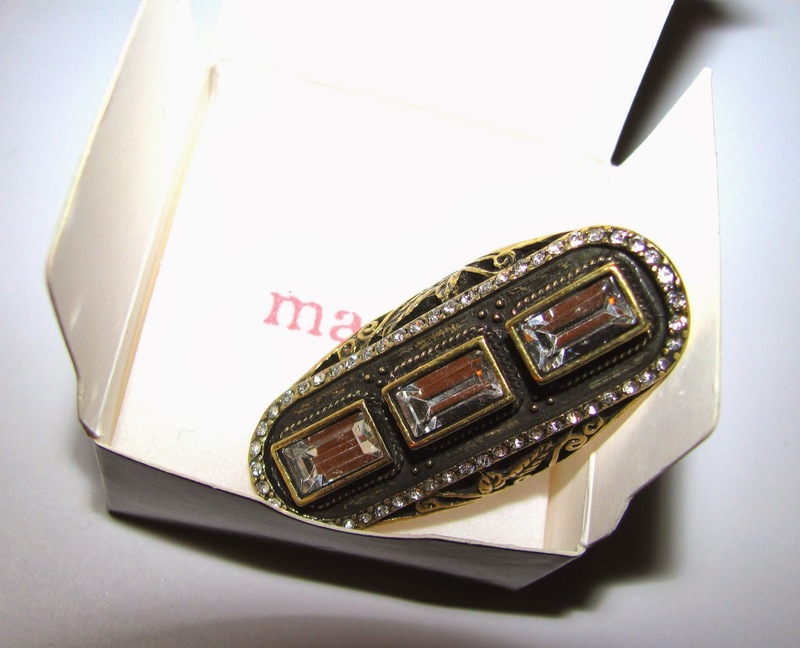 MAC calls is a soft golden brown . It does have light pearl in it but nothing super shiny. 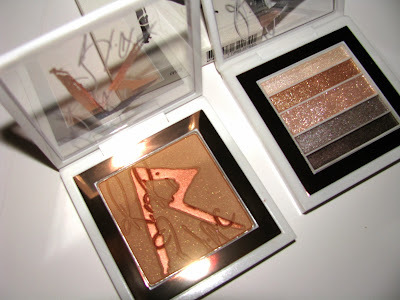 The full Riri MAC Holiday line will be available in December ( no exact date yet). 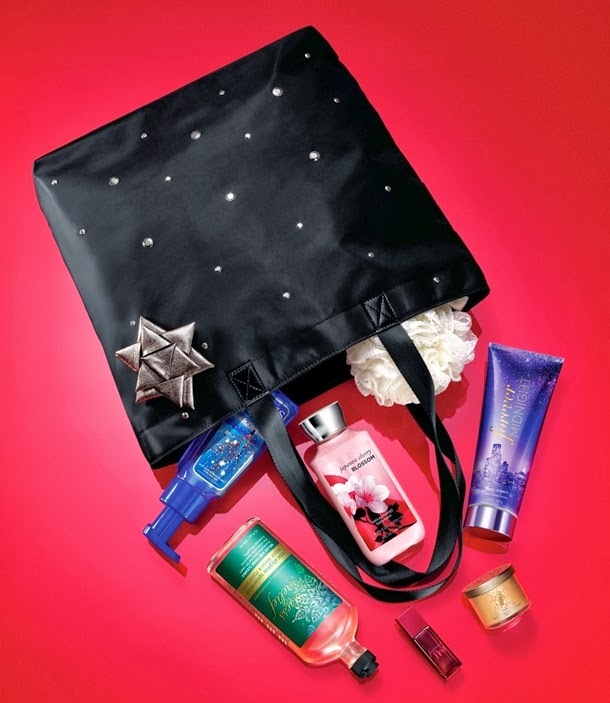 If Bath and Body Works is on your Black Friday shopping list, here's a look at the annual VIP Tote. The Bath & Body Works VIP Black Friday Tote Bag ($20 with $40 Purchase) will be available Black Friday, 11/29/2013, in stores and online and includes 7 Bath & Body Work products as well as the tote. Coming soon from mark is this big bit of bling, the Deco Appeal Ring. It should be available in the December campaign and with December right around the corner, that should be soon. 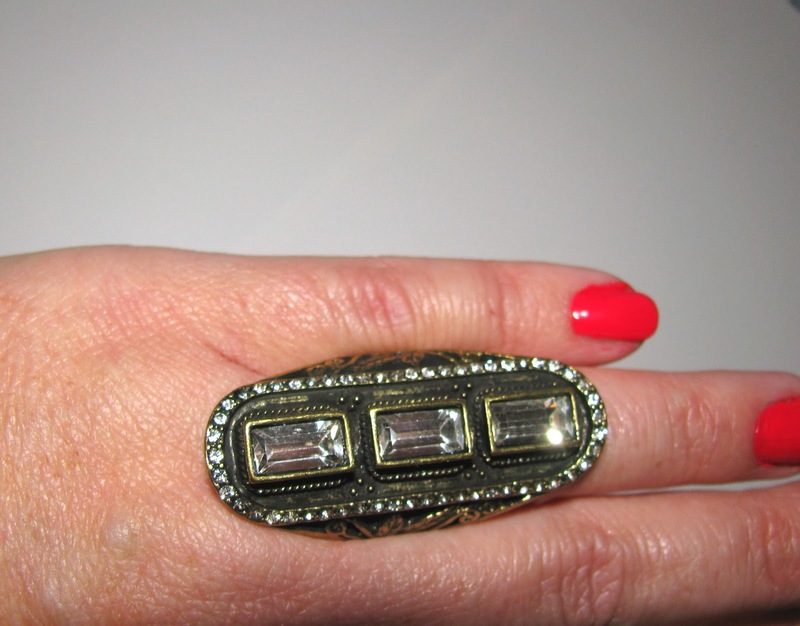 The ring measures just under 2 inches long with three emerald cut tones, and filigreed sides. 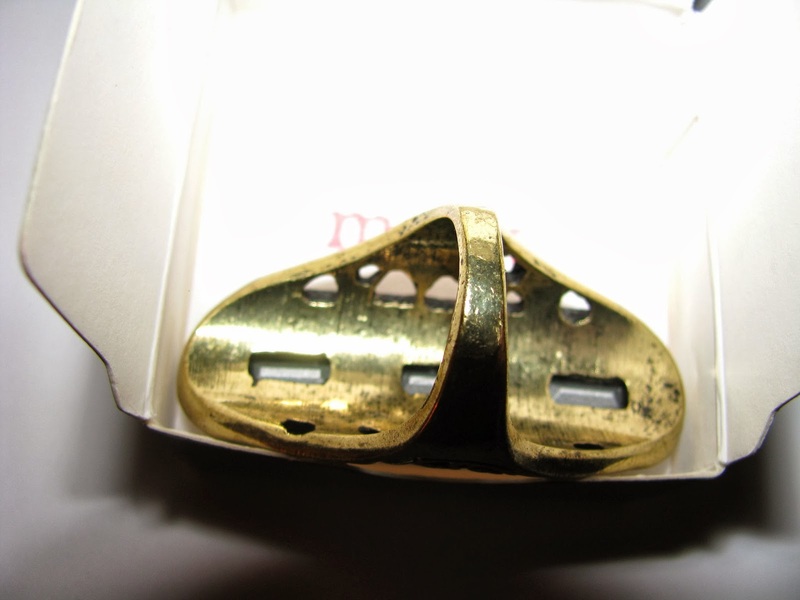 It's sized, not adjustable and would look better on the index or middle finger but mine was too small for that. I love large jewelry and if you or a giftee does, this is a fun look. It's heavy but not overly so and will look really nice against holiday dressing. PS- Pls ignore the sloppy manicure. It was quick but messy polish test. Ok we're veering slight into tech talk here but it can easily relate to beauty/fashion. Super neat is the Shutter Ball, a wonderful little gadget that helps you to take easy selfies and group shots. Shutter Ball works like a remote shutter on old fashioned cameras, it's handheld and triggers the shutter on your smart phone. No more stretching your arms as far as they'll go to get the OOTD or FOTD image. It works up to 60' away and does video and still as well as being Bluetooth Smart. When it comes to Christmas stuff I love it all, well there are a few exceptions but this Holly theme tin from Steam Cream isn't one . It's festive and pretty . Nice enough to leave sitting around and nice enough to gift to someone . Steam Cream is a heavy duty cream for all skin, it's been great for my hands , and comes in many super cute tins You can read my first look and check out their Union Jack tin here . Steam Cream Holly and more are at www.steamcream.com . $ 20 each with free worldwide shipping. This new leave in conditioner from Pureology is practically a miracle worker for hair. It does it all, 21 benefits to be exact. 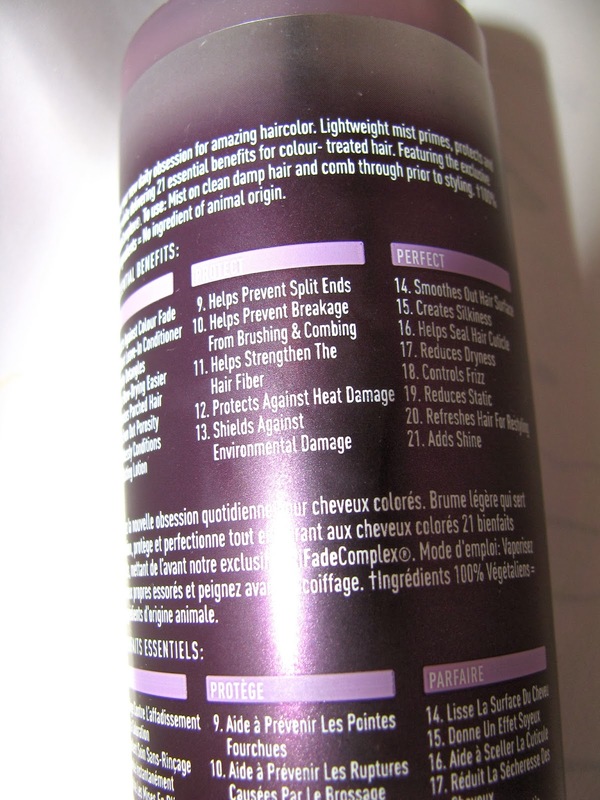 It conditions, tames frizz, eases breakage , protects against color fade and heat damage, strengthens , adds shine and more. 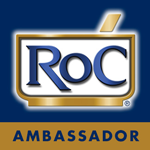 Ingredients include olive and coconut oils and hydrolyzed vegetable protein. Basically with this one product you can do it everything with the exception of a styler like mousse if you use it. This will add light body as well but not major styling help. With my hair getting drier I've been looking more to heavy duty leave- ins than ever. This has done a fantastic job. I wasn't sure how much to use at first so I sprayed it on heavily . I worried I might have overdone it, but no, my hair was perfect. Full of body, super soft but not weighed down , conditioned . 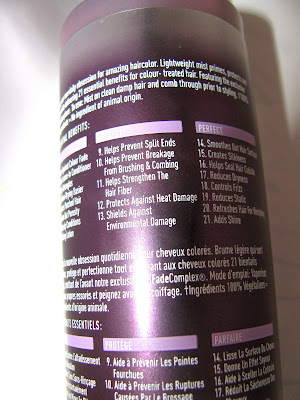 If you have parched hair , frizzy hair, over heat styled and /or color treated , give it a look. Your hair will thank you. 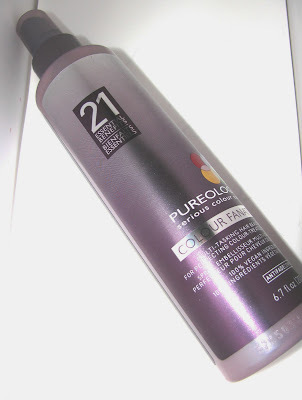 Pureology Colour Fanatic is $ 24 at salons . 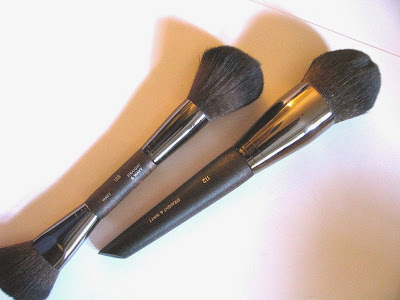 It Cosmetics brushes have quickly become a favorite of mine. I've only tried a couple but was very impressed . Their Heavenly Luxe Wand Ball is one that I use all the time now. 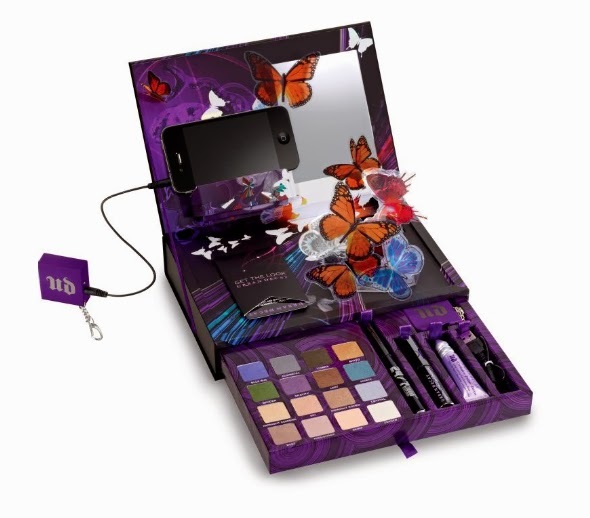 Cyber Monday ( 12/2) sports some hot deals and for Urban Decay fans here's one to mark down. The brand is heading back to 2011 with a revival of the Book of Shadows Vol. 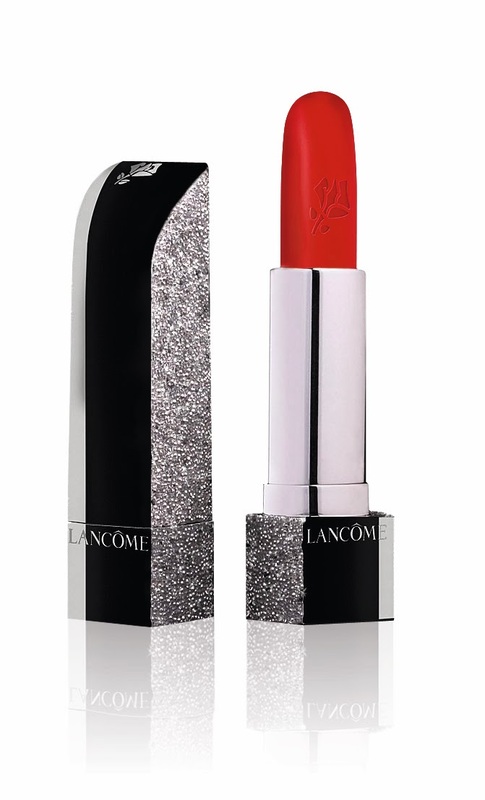 IV, which now will also come with a deluxe Revolution Lipstick sample. It's $ 75, so not inexpensive, but if you want something for the beauty lover who has it all , it's awfully nice. Available exclusively at www.lancome.com and LE. Ginger Sparkle a zippy holiday scent returns this season from The Body Shop. It's more ginger zest than foodie and really smells great . The full line is available now including body butter, the lip balm ( see last year's look at this here ) , hand lotion and soap and a cute Gingerbread Man scrubbie as well as gift sets. It's no secret here that I love a good eye cream . I can be fussy with them too. This is one area I get more exacting. 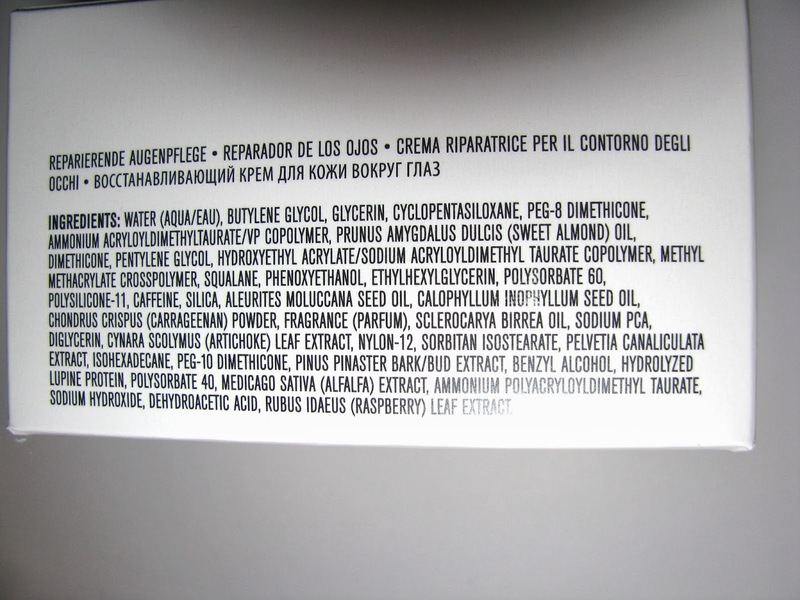 The newest eye treatment from one of my favorite skincare brands, Erno Laszlo, is Phormula 3-9 and is doing a great job. Phormula 3-9 is a light gel/cream that packs plenty of moisture but isn't heavy on the eye area, making it good for both day and night use. 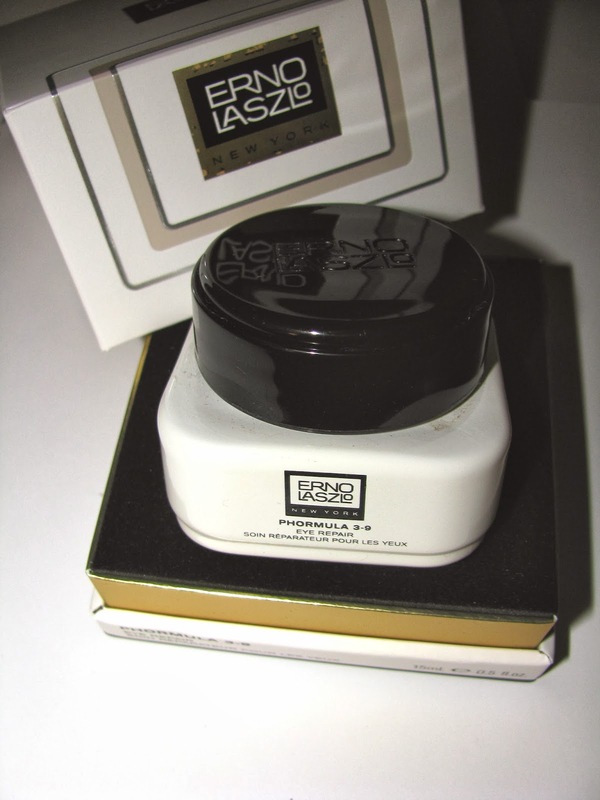 It has a soothing and cooling feel upon application and sinks in fast. My eyes feel hydrated and refreshed . Marula, Tamanu, Kukui Nut and Sweet Almond Oils are all in there along with Raspberry Culture Cells for antioxidant and anti inflammatory benefits. Good makeup brushes make a huge difference. A lot of people who love makeup don't spring for good brushes. Yes they don't usually come inexpensively but they are so worth it and will last long. 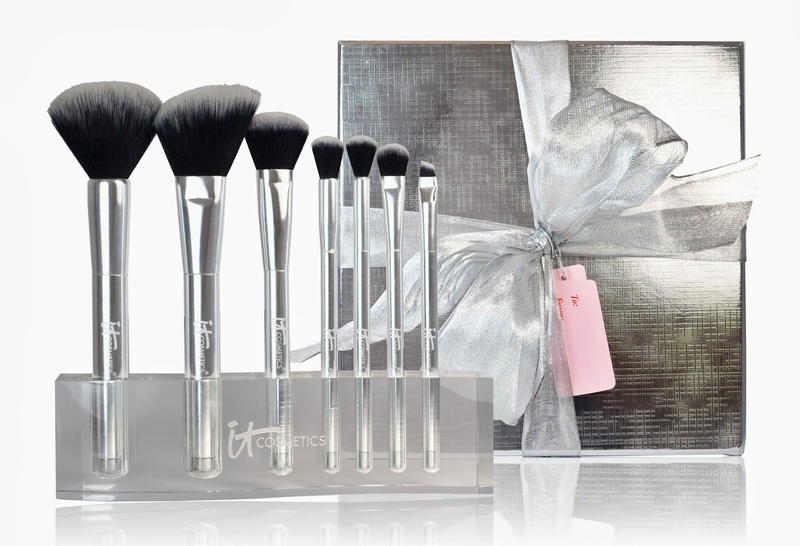 Whenever I've given friends brushes , when all they used were the ones that came in the packaging, they had a wow moment. New to the scene is a full, large line of 76 brushes from Make Up For Ever called the Artisan Collection. 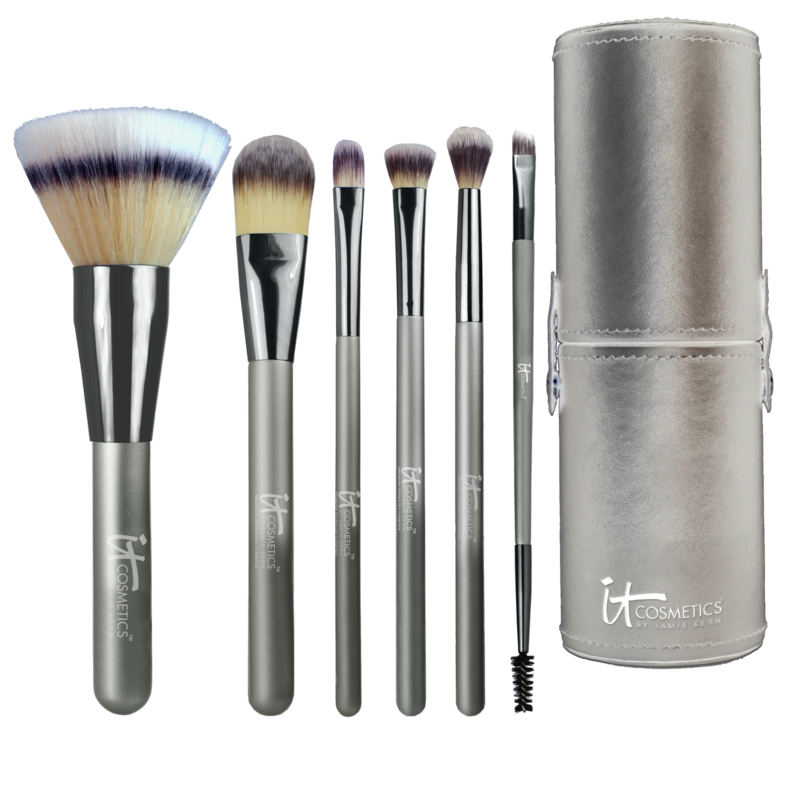 Each brush is handcrafted by a total of 30 people and the line went through 5 years of testing before being ready. They are synthetic fibers ( I thought they were real at first that's how nice the hair was) and have textures of wavy and straight . Straight gives more precise generous application while wavy give lighter and freer. I've tried 3 so far and found them to be quite nice. They are a heavy tool, perhaps more than I am used too, but it isn't really an issue . 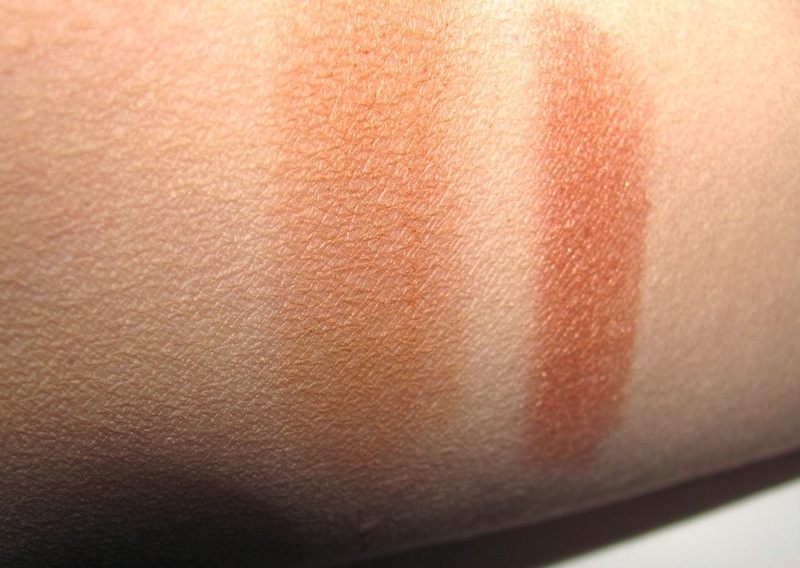 I get a light application meaning I can build as opposed to getting too much at once and they glide on skin . 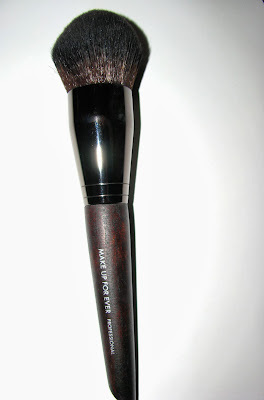 My favorite is #112 , a very large brush that MUFE recs for cream and liquid foundation . The stiffer bristle set and pointed tip make it good for that, but I like using it for powder and highlighter placement. 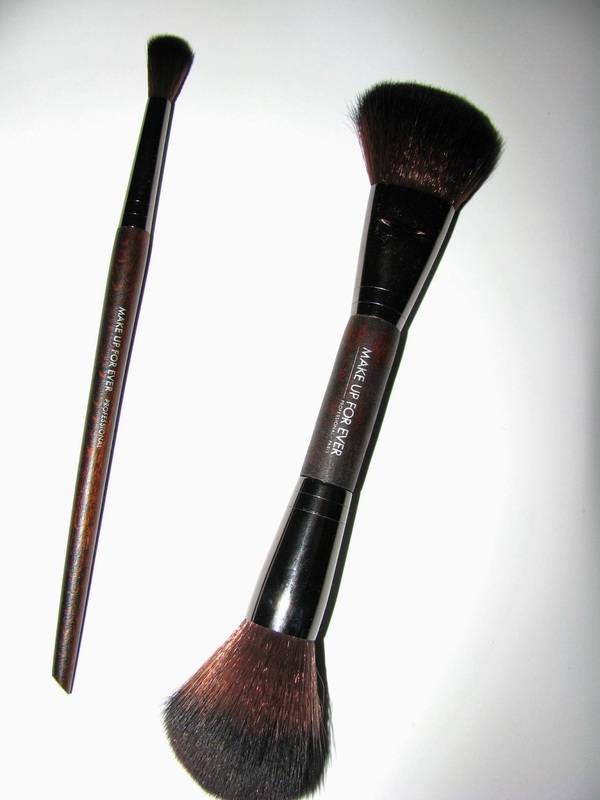 #158 is a dual sided sculpting brush that is great for blush and powders and #242 is a large blender brush which is great for placement of highlighter, shadow and more. Since we talk holiday gifting so much this time of year, while these may not leap to mind, a group of new pro brushes makes a great idea for the makeup fan in your life. 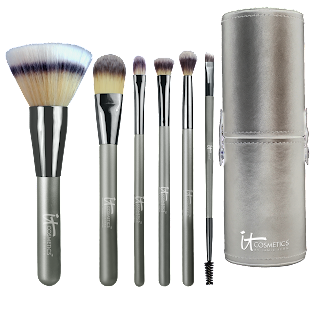 These are the kind of thing they may not buy for themselves and if they are a beauty fan that seems to have everything, they always need brushes. , select styles in Sephora stores and MUFE boutiques. The news broke Friday that MAC's next big collab will be with Disney on a Maleficent collection tied into the new movie of the same name starring Angelina Jolie. You'll recall I'm sure that Maleficent was one of the Venomous Villains as well. That was my favorite of all the MAC special collections so far. I love Archie's Girls but Villains even more. Several of the Maleficent items were among my favs as well . I wonder if they will use the original cartoon logo ? I imagine since it's movie based , we may see a different version. We have to wait until Spring to find out. 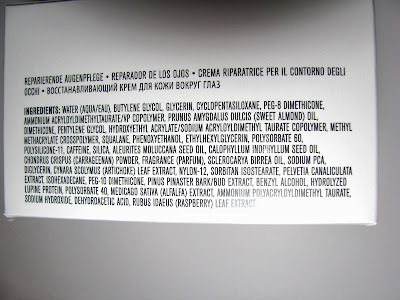 MAC does say that it will be 11 products and of course LE. I'm into it. How about you ? It's time for my second look at Chanel bath and body for holiday. 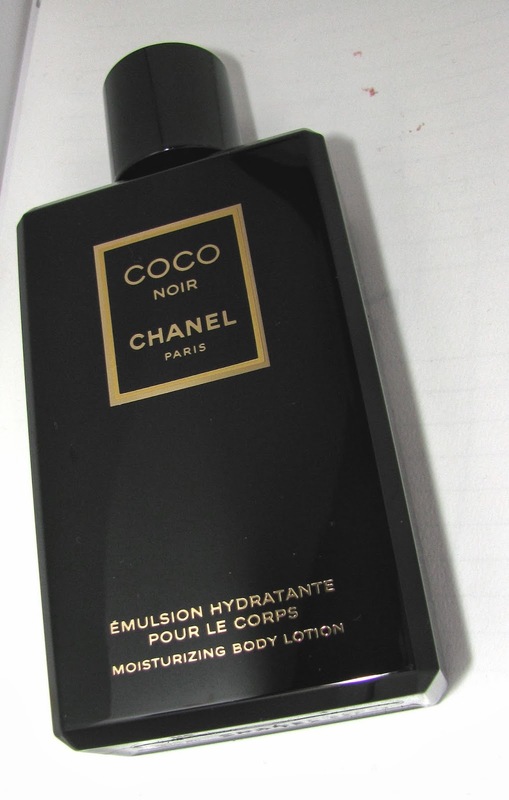 Earlier I showed you Coco Noir Body Lotion . 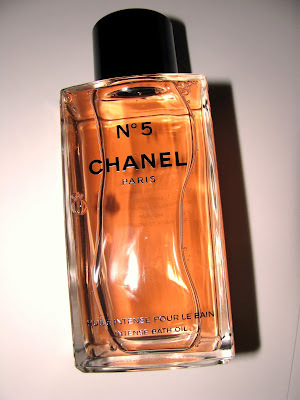 Now it's time for Chanel No 5 Intense Bath Oil. It's a bit of total indulgence don't you think ? 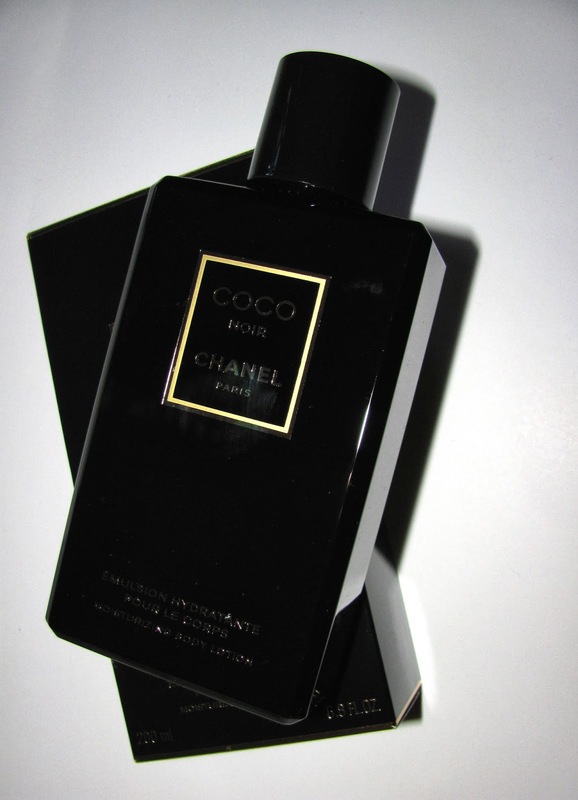 A huge 8.4 oz bottle of the iconic scent just to soak in. For the No 5 devotee you won't go wrong. This bath oil doesn't stint on scent and is highly fragranced. It's also of course very moisturizing . Just the thing to take the chill off. 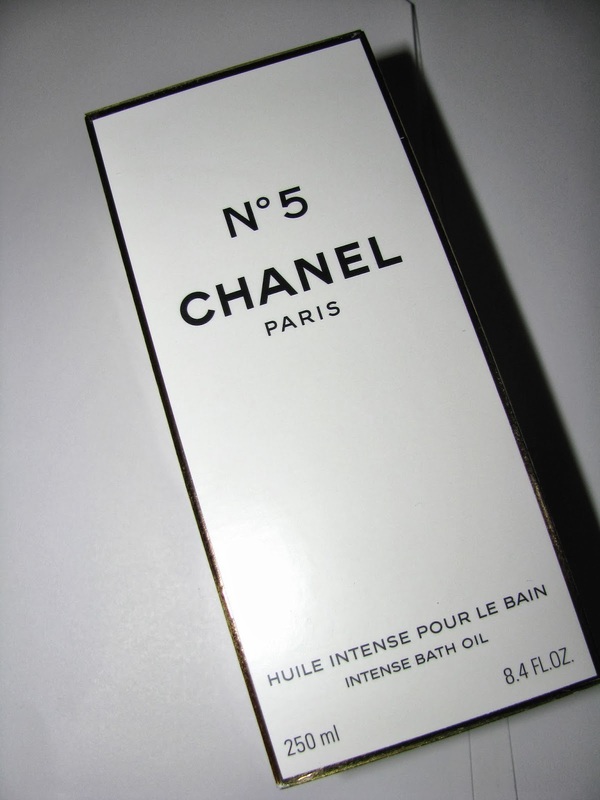 Chanel No 5 Intense Bath Oil is $ 100 and available now. Have you checked out Kohl's Beauty Department lately? They've stepped up their game and offer LORAC, Oscar Blandi, Cargo and more. Plus as far as I know, you can use your Kohl's coupons for deeper discounts ( but ask at the store first ). To introduce the newer section and lines , this Saturday the 16th , at the 49 participating stores listed below you can trade in 2 of your used beauty products and receive a $ 10 Kohl's gift card. Offer is open to the first 100 customers at each store and the promo runs from 9AM-1PM . If you happen to be headed to the Nashville store you will run into the lovely blogger Dina of Eye4Style who is co-hosting that store's event. 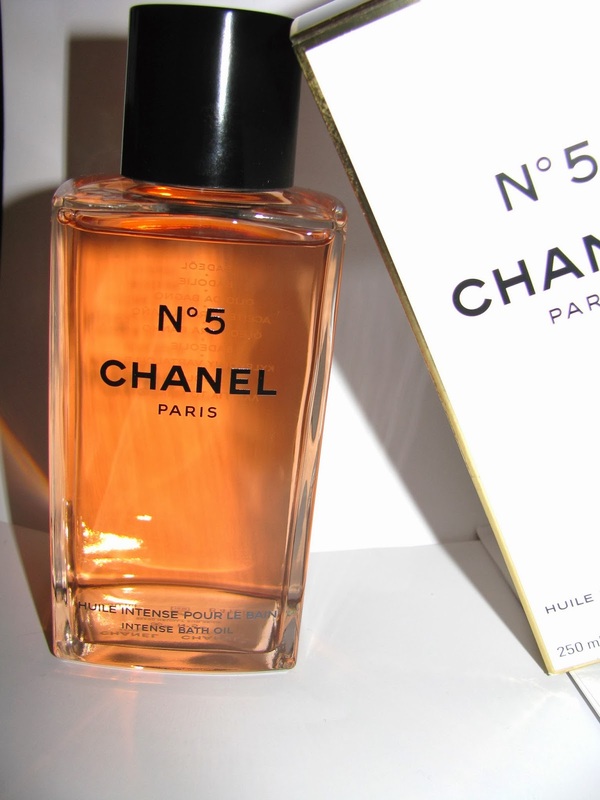 As luxe gifts go most anything by Chanel makes the grade. 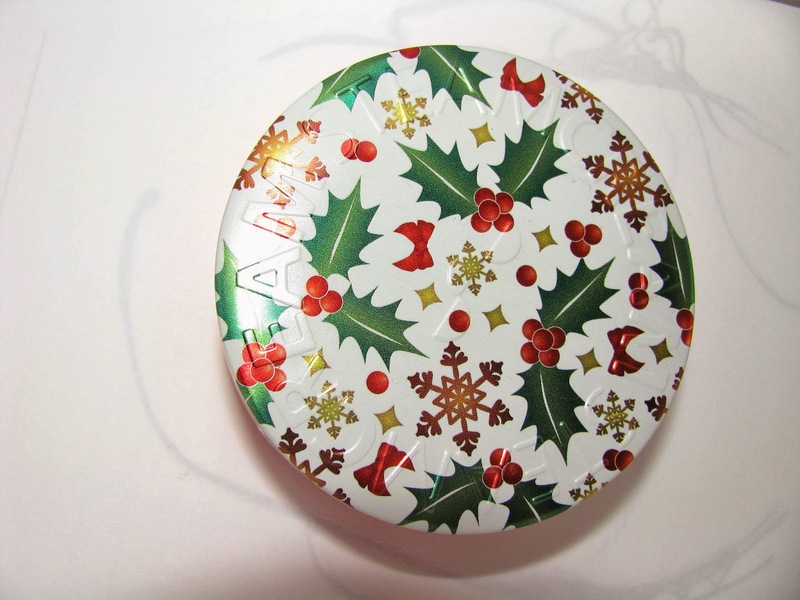 The brand has released several bath and body options for glam holiday gifting or getting. While I'll have a look at another in No 5 later this week , Chanel Coco Noir Body Lotion goes first. In the same very chic black lacquer look bottle as the fragrance , this rich body lotion not only smells just like the fragrance, but will look so pretty on the vanity. 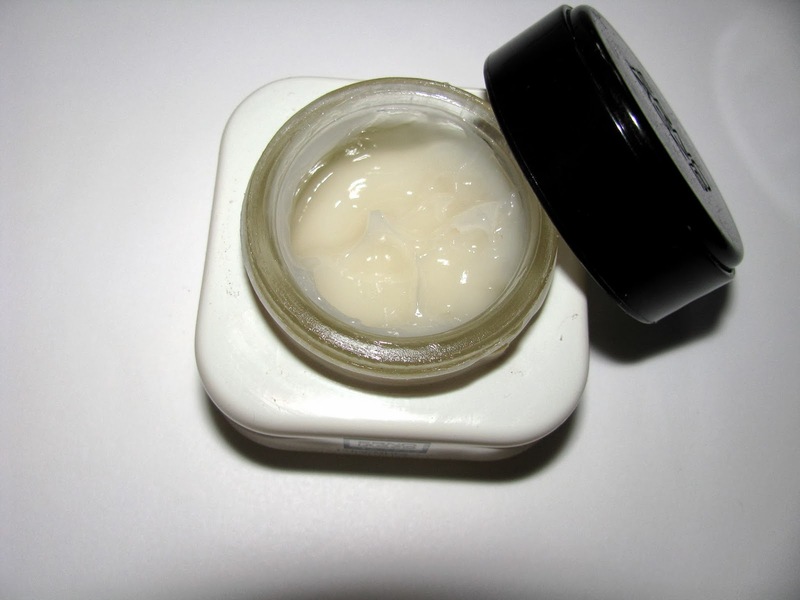 The lotion has a strong scent and is more moisturizing than you might expect a fragrance one to be. Glycerin and squalene are among the ingredients. Lotions have always been one of my favorite ways to fragrance . They do double duty adding that moisture along with scent. In the winter this is a good thing. I may love the colder temps but not the drier skin. 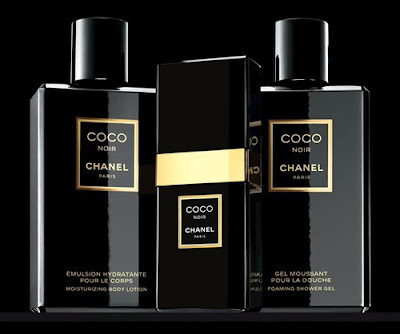 If you are feeling generous, pair this with a bottle of the fragrance or the also new shower gel for a fabulous gift set. 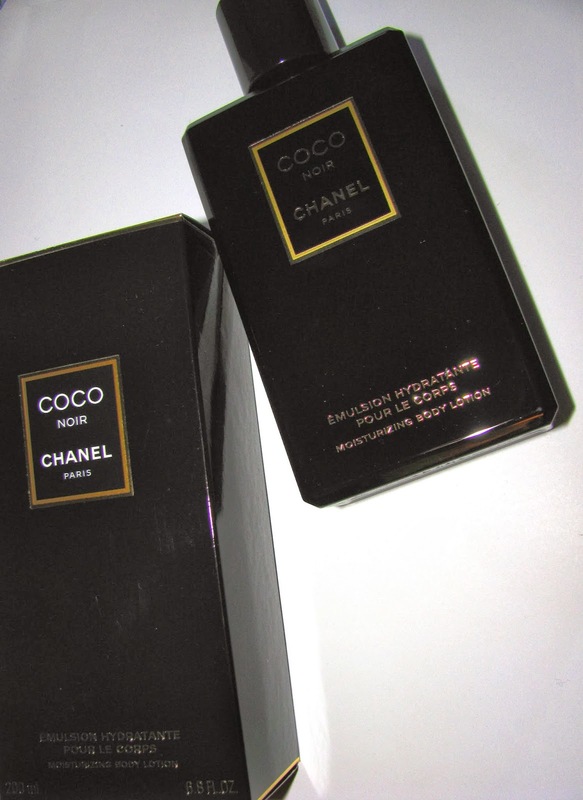 Chanel Coco Noir Moisturizing Body Lotion is $ 50 for the 6.8 oz bottle.